Rabbi Yaakov Ariel: yeshiva students at Beitar Illit and Modiin Illit should not let others guard them. A leading Zionist rabbi has weighed in on the dispute over hareidi men's enlistment to the IDF, and said that yeshiva students should not make other men stand guard over them as they study. In his weekly column on the Hebrew site of Arutz Sheva, Rabbi Yaakov Ariel, the Chief Rabbi of Ramat Gan, compared the debate to the midrash on the dispute between Moses and the artisan Bezalel, whose story is in this week's Torah reading. Moses wanted the Holy Ark to be prepared first, and the Holy Sanctuary later. Bezalel told him that the Ark cannot be fashioned before there is a Sanctuary to place it in. "There is no argument between them," Rabbi Ariel explained. "Moses is prescribing an ideological order, according to which the Torah is the main thing and the Ark is central, whereas Bezalel represents the practical side: one cannot jump straight to the Torah. An entire system needs to exist in order for that to happen – the Sanctuary and its vessels – and only when that is built, can the Ark be brought inside. The same debate is at the root of the dispute on Torah study and enlistment to the military, the rabbi explained. On the one hand, there is no spiritual or physical existence for the nation without Torah study. "But there is no dispute that one needs the Sanctuary as well; the frame," he said. "One thing depends on the other. A Sanctuary without Torah is not a Sanctuary, but Torah without a Sanctuary is also an abstract Torah that has no existence." 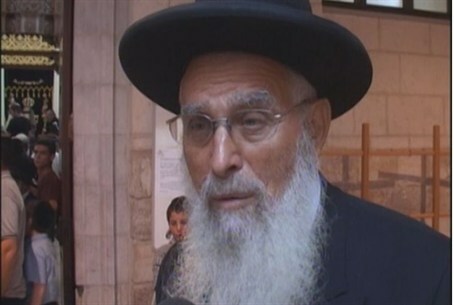 Rabbi Ariel said that hareidi cities like Beitar Illit and Modiin Illit, should provide men from their own residents to guard them, rather than allowing non-hareidi soldiers to protect them. On Pesach, he said, some religious Zionist soldiers even had to make do with a partial Seder because they had to stand guard over the hareidi cities. The proper arrangement, he said, would be for the more studious hareidi men to continue to study Torah, while the less studious ones do guard duty. As for Pesach, he said – those who guard need to understand why others are performing the Seder, and those in the Seder need to thank the defenders."